The final details of pop icon Whitney Houston's Feb. 11 death provide a clearer picture of the scene where the star was found face down in a water-filled bathtub with drug paraphernalia near by, and confirms the coroner's initial report that she died of accidental drowning. The Los Angeles County coroner's 42-page report also reveals some unknown and often surprising details about the singer at the time of her death, along with what was found in her hotel room at the Beverly Hilton, and gives glimpses of the addictions that plagued one of the greatest singer's of her time. A "small spoon with a white crystal like substance in it and a rolled-up piece of white paper" were found in the bathroom where Houston died, according to the coroner's report. Such items are used to snort cocaine. "Some people use a spoon for cocaine administration," a law enforcement official involved in Houston's case said. "These days it's likely around for meth, which was not found at the scene, according to the investigator, so likely used as inhalation tool." Previous reports said traces of cocaine and prescription medications were in her system. Both the initial and final reports stated that blood tests indicate that she smoked marijuana within two weeks before her death. Marijuana is legal in California if used for medicinal purposes. Forensic toxicologist Bruce Goldberger said the details about her blood from the toxicology report indicate that she was "acutely intoxicated from cocaine" at the time of her death and was a "repeated cocaine user." A "plethora of prescription medication bottles" were found in the room, according to the final report. The final report lists a total of 12 different medications, including anti-anxiety medication Xanax, and muscle relaxer Flexeril, prescribed from five different doctors. Goldberger described the level of prescription drugs in her system as "mild" and said Xanax did not contribute to her death. An open bottle of champagne also sat on the mini-bar and an open can of beer was on a table. There was also a bottle of beer on a nightstand and several loose tablets. Houston's family has expressed surprise that she was using drugs again. In an interview with Oprah Winfrey, sister-in-law Pat Houston attributed Whitney's downfall to a lifestyle change where she saw Whitney "chasing a dream ... looking for comfort, love ... and it was younger." 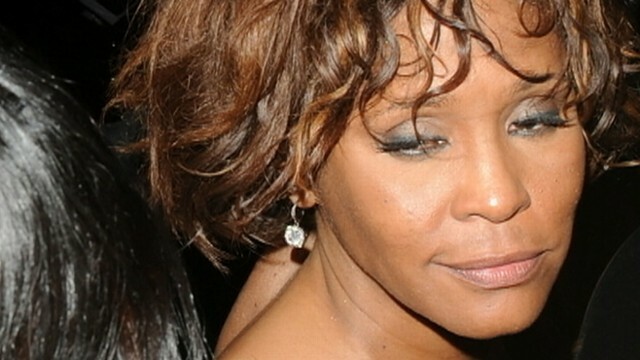 She said that Whitney was chasing someone "that would ultimately hurt her." While admitting she was concerned about the singer's behavior at a party two nights before her death, Pat Houston told Winfrey that she didn't think the star was abusing drugs in her final days. But after the initial toxicology report was released, Houston wrote in a statement to The Associated Press: "We are saddened to learn of the toxicology results, although we are glad to now have closure." The coroner reported that when found in her room at the Beverly Hilton, Houston's purse contained her wallet, but the "decedent's California driver's license had been removed from the wallet, which was inside the purse, prior to my arrival." "Also prior to my arrival, the majority of the decedent's prescription medication bottles had been removed from a brown bag that was on top of the table in the southeast corner of the living room, and then placed on top of that same table," the report reads. It has been determined that no foul play was involved in the singer's death. It is unclear how many plastic surgeries Houston underwent throughout her life, but it now seems clear that she did at some point undergo breast-augmentation surgery. The coroner's report described and "small scars" on her breasts "associated with breast implants." "The outlines of bilateral breast prosthesis are visible," the report added. According to the coroner's report, "there was a defibrillator patch on the upper right side of her chest and there was another defibrillator patch on the upper right side of her torso." This does not likely indicate therapeutic treatment for Houston's heart, but shows that part of the life-saving efforts administered by paramedics was likely the use of a defibrillator to establish normal sinus rhythm to Houston's heart. Another piece of new information from Wednesday's report is that Houston wore a brown wig, which was tightly affixed to her head at the time of her death. Houston also wore dentures, the coroner's report indicated. This is relatively common among long-term drug abusers. Habitual use of drugs such as crack cocaine, which contains acidic chemicals, will lead to the wearing down of the tooth's pulpy tissue over time. Tooth decay can also be the result of vomiting and tooth grinding, which is common among drug and alcohol abusers. The coroner said that mild emphysema was detected in Houston. Houston's voice was the gift she left for her fans, but sadly for her she was losing her beautiful voice at the time of her death. From the final report, it now seems clear that not only did she struggle with illegal drugs and alcohol, but she was unable to stop smoking. Houston was discovered by her assistant the afternoon of Feb. 11 face down in a water-filled bathtub with a "bloody purge coming from her nose" and, according to the report, "there were two superficial abrasions to the left side of her forehead, and there was a superficial abrasion to the left side of the bridge of her nose." Forensic pathologist Cyril Wecht said he does not fully concur with the final anatomical diagnoses on Houston, noting that the water in her tub at the Beverly Hilton was extremely hot at 93.5 degrees. He believes this indicates that Houston was not sitting in her tub, and somehow accidentally drowned. "I think that she fell into this very hot water, that accounts for a little bruise that was seen in the left forehead area, some other pressure markings on the face, including the slight laceration of the lip, and the fact that she is lying face down," Wecht told ABC News. "I think that this lady fell into the water, she was unconscious, dead or dying when she fell into the tub. "I do not believe that the death was due to drowning," he added, "although I cannot rule out that she could've been in the agonal moments and with her head submerged in water that certainly could have contributed to her death."